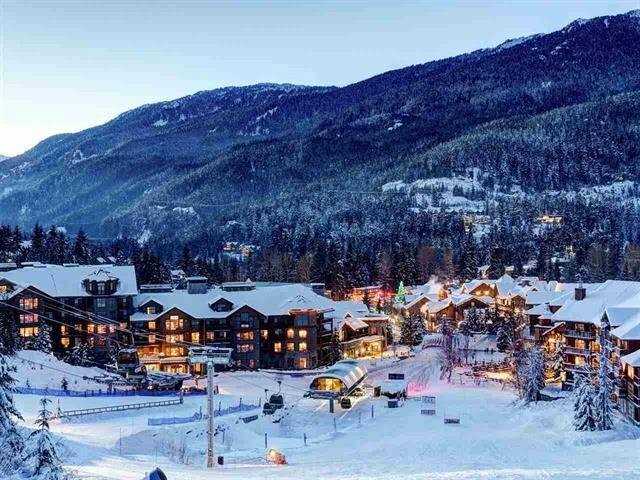 Enjoy the privilege of owning in one of Whistlers prestigious address in Luxurious First Tracks Lodge which is located directly at the base of Whistler Mtn in Creekside! Spacious 2 bed, 2 bath unit spread over 1,233 sqft on one level overlooking the pool and hot tub area. Oversized ceilings, spacious living layout, luxury finishes, massive stone gas fireplace & gourmet kitchen are just some of this unit's features. 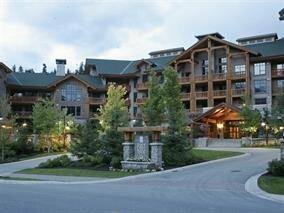 World-class amenities includes 2 hot tubs, outdoor heated pool, steam room, fully equipped exercise room, and owner's personal ski-locker (as well as bike storage and in-suite owner storage.) Strata fees include phone, gas, hydro, and cable. Enjoy exclusively for personal use or reap the benefits of nightly rentals.